New PayPal App on iPhone let's you Enable Check Deposits Instantly by Using iPhone's Camera. 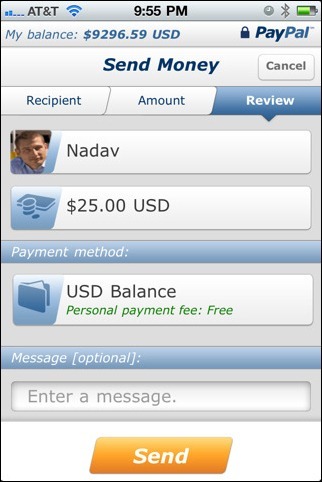 New PayPal App on iPhone let’s you Enable Check Deposits Instantly by Using iPhone’s Camera. A few weeks ago, An Update to the PayPal App was confirmed which would allow you to capture (front and back side) photographs of your check to deposit it instantly and that update has been released a few while earlier. Don’t have a PayPal account? It’s quick, easy, and free to sign up for one at paypal.com. But the App has limited the maximum deposit to 1000$ per check and $3,000 per month which means that it wont totally replace check-depositing, So for larger deposits you still have to go to the bank. Just to let you know that PayPal has limited this and its nothing to do with the app.